Loz Because is a balloon modeller in Bristol, perfect for wedding reception entertainment, birthday party entertainment, family party entertainment, private parties, party entertainment, christmas party entertainment, school fayre entertainment, school fete entertainment, international event entertainment, themed party entertainment. Loz Because is a circus performer who loves having fun! 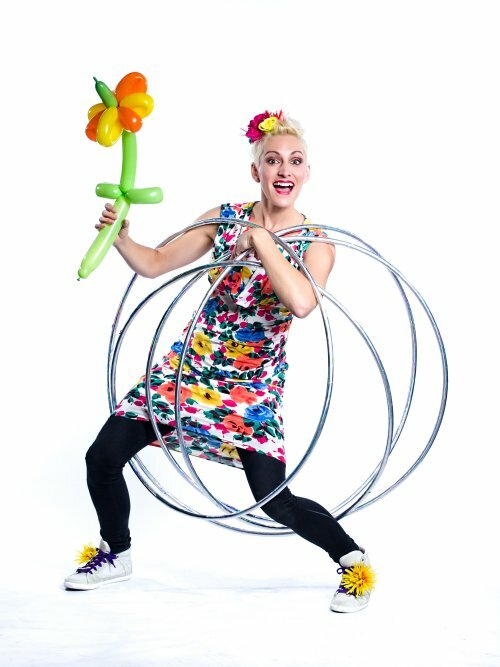 Kids love her balloon creations – and adults do too. 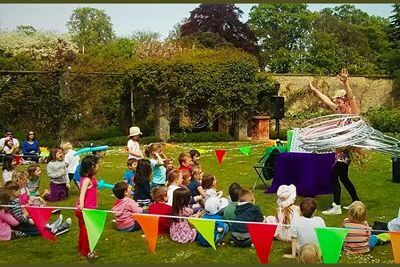 Loz also performs children’s parties with interactive story-telling and crazy circus tricks! 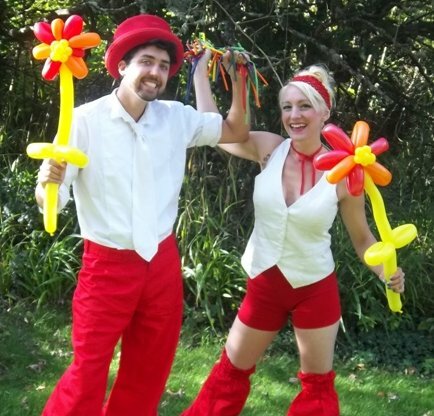 Loz Because is also a great addition to your corporate entertainment at your corporate events and private parties. 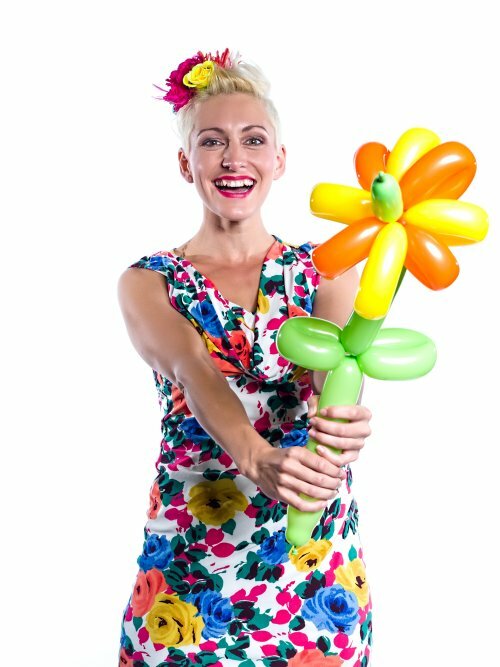 Loz crafts a variety of different balloon creations including all sorts of animals – her favourite is her trusty companion, Colin the crab! Loz performs 3 x 30 minute sets. Loz Because was really great with the kids, she dressed as a very 80’s gym fanatic and took lots of hoops. She was getting all the kids to have a go and doing a few routines. Her incredible skill and endless witty banter had everyone enthralled. Simply stunning. Loz instantly engaged the kids as they arrived making them laugh and entertaining them from beginning to end.